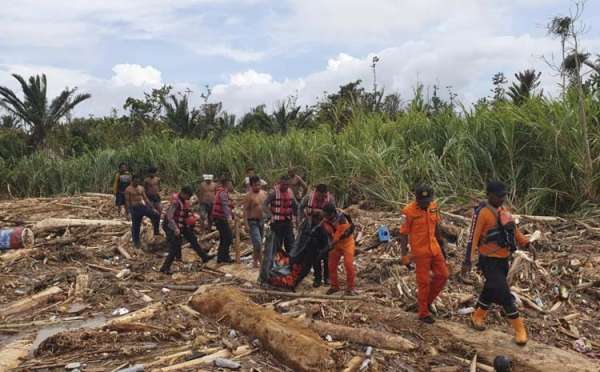 JAYAPURA, Indonesia-- Flash floods and mudslides triggered by downpours tore through mountainside villages in Indonesia's easternmost province, killing at least 58 people, disaster officials said. An earthquake triggered a landslide that hit a popular waterfall on the Indonesian tourist island of Lombok, killing at least two and damaging hundreds of homes. He said rescuers managed to evacuate 22 Malaysians and 14 Indonesians from the waterfall site, and 50 others — mostly local surveyors from government institutions, the military and the police — from the mountainous area.